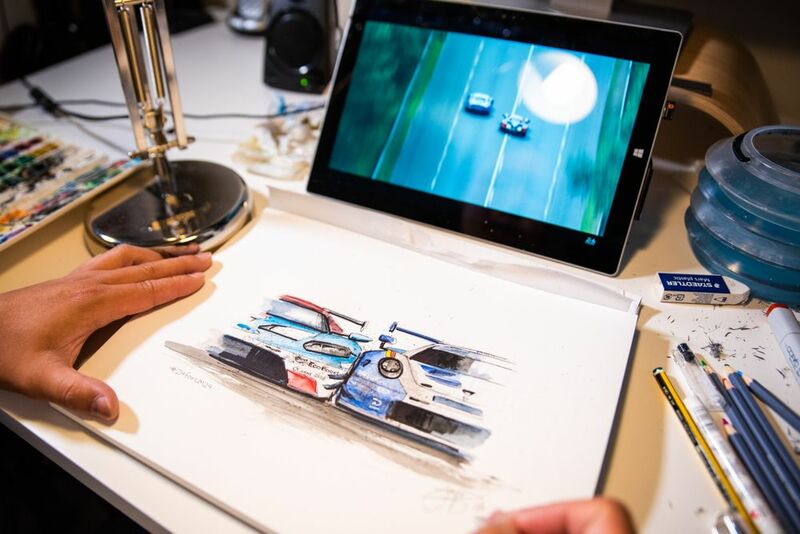 When it comes to following the entire Le Mans 24 Hours, we’ve all got our own ways of trying to stay awake, most of which involve a massive amount of coffee and energy drinks. 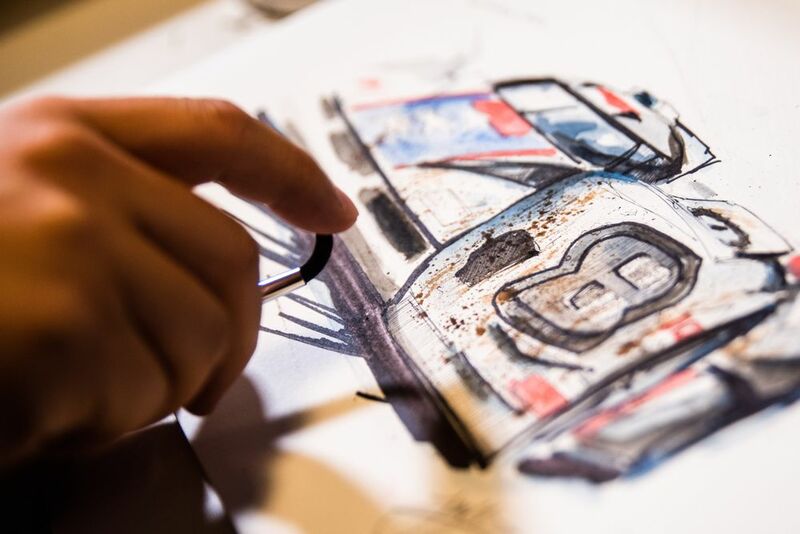 Jayson Fong has another method, however: producing art. For each hour during the race, he picks out a highlight and reproduces it - and the results are magnificent. It seems like a mammoth undertaking to put out 24 paintings in 24 hours, so we spoke to Jayson about how he decides what to paint, where the idea came from, and how he manages to do them so quickly. When did you first come up with the idea? “However in 2015 I had to break the promise so decided I would stay awake for the 24 hours watching from home, but thought I might need something to keep me occupied in that time. 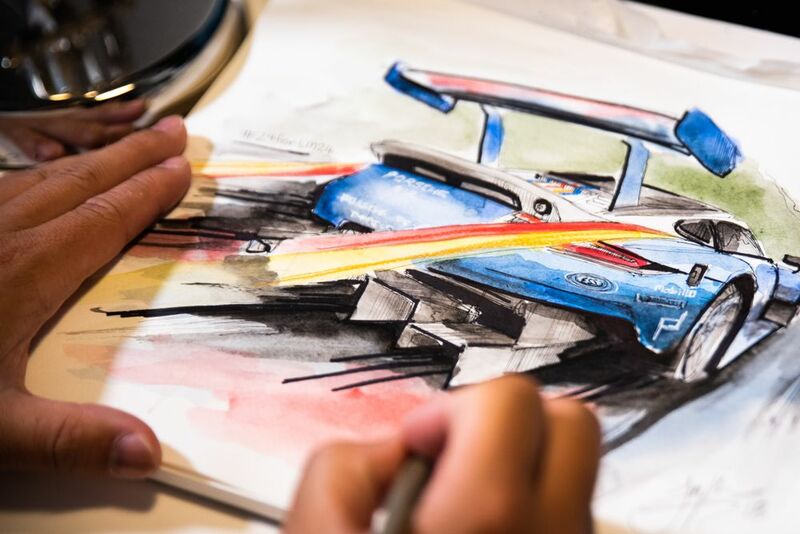 The drawings was a last minute decision and I spent a bit of time just before the race running around the house trying to find material to draw on. I ended up with a really broad collection of works that year that included acrylic paintings on canvas, drawings, marker renderings, watercolour, etc. It was a bit frantic to be honest, but fun to have so many different pieces everywhere. “The work of the photographers out there always inspires me - the job is a difficult one! 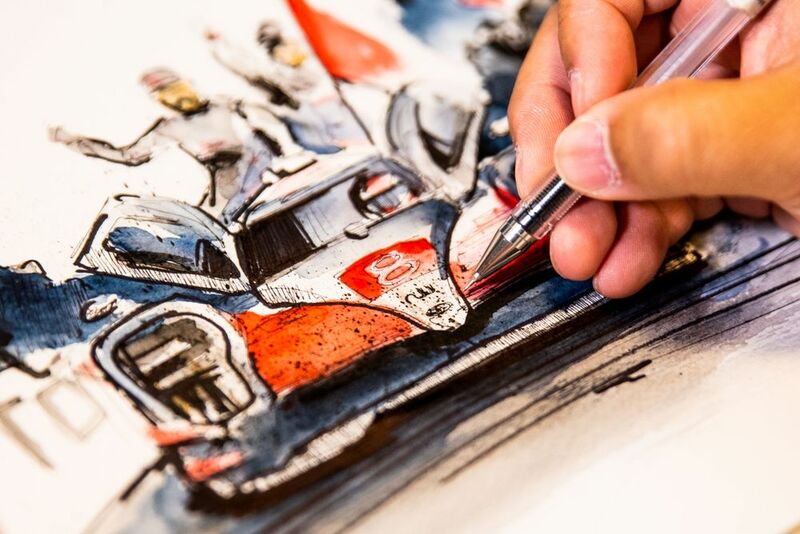 There might be lots of time at Le Mans, but there is so much happening they have to pick their moments or make their own luck by being in the right place at the right time to tell the story of the race. 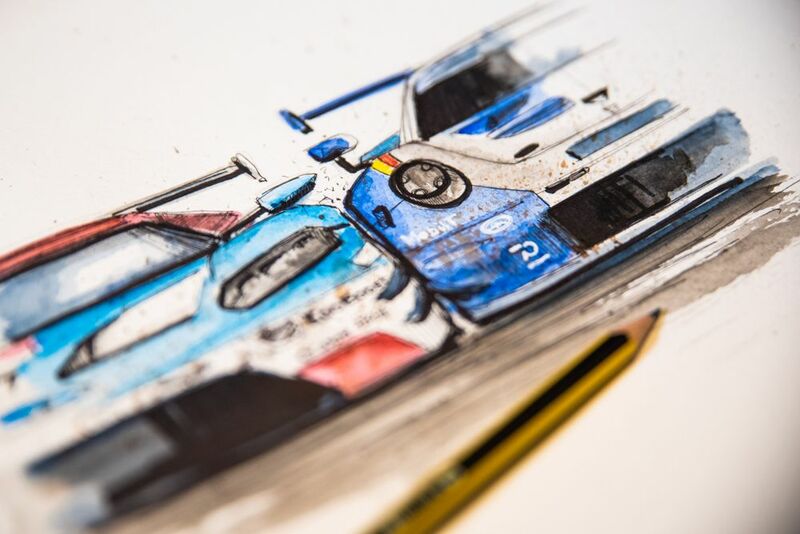 If there’s a boring period in the race with very little happening, how do you decide what to paint? How long does each one take? “I always aim for one hour. However, each year so far has been a bit different as I continue to figure out which style I’m most happy with. In 2015 I was spontaneous with mediums but managed the hour timeframes, 2016 I did watercolours (which I found very difficult), 2017 I did marker drawings (I ended up with quite a bit of time here without needing to worry about too much colour so happily managed the timeframes) and this year I decided to give watercolours another go because I felt the monochrome marker drawings were missing something. Have you ever been unhappy with a painting, scrapped it, and done something else instead? Which one is your favourite from this year? 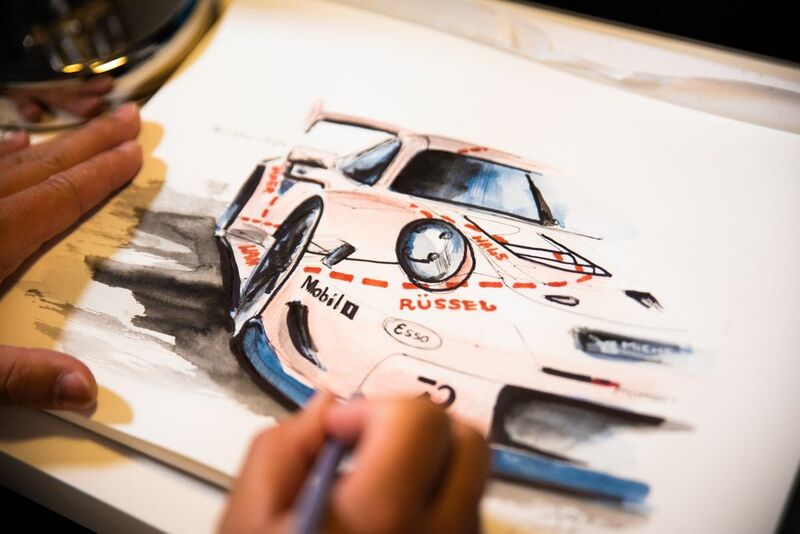 You can check out all of Jayson’s artwork from this year’s race (and more!) on his Twitter and Instagram pages. 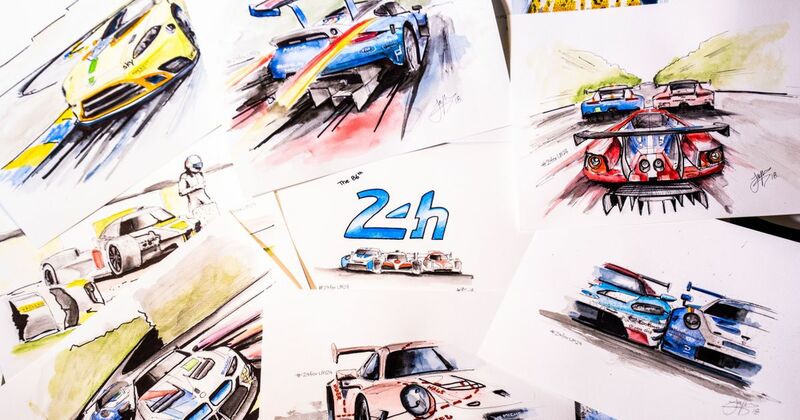 He’s also selling the original artworks from this year’s Le Mans through his website, with a portion of the profits going to charity. 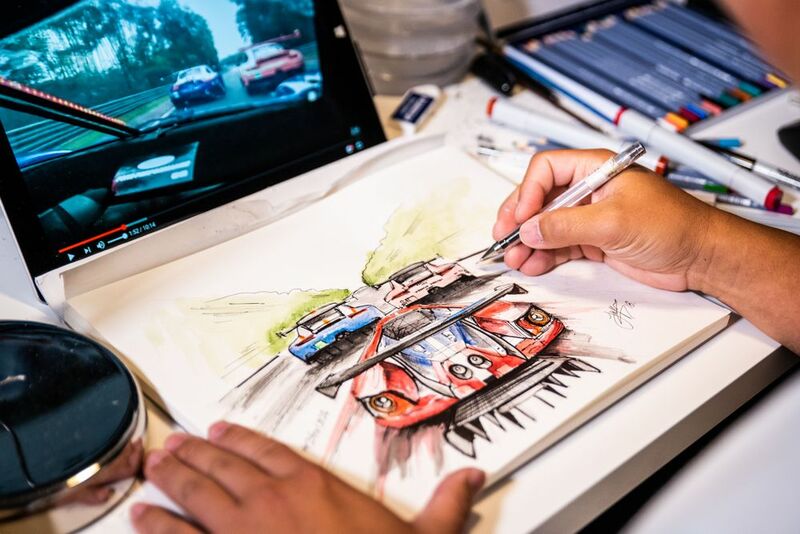 We can’t wait for next year’s race - not just because Le Mans is completely awesome, but because Jayson’s work is quickly becoming a highlight of following the event.